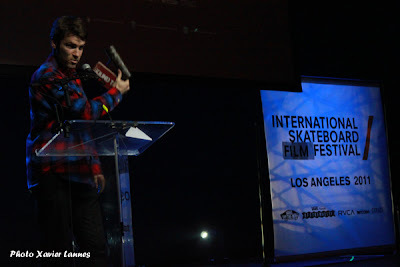 International Skate Film Festival Awards: the winner takes all: In Search Of The Miraculous got three awards!!! After several days of screenings and panel discussions, the 1st Annual International Skate Film Festival ended last night at the Music Box in Hollywood with the much anticipated awards ceremony honoring skate filmmakers’ work from all around the world. 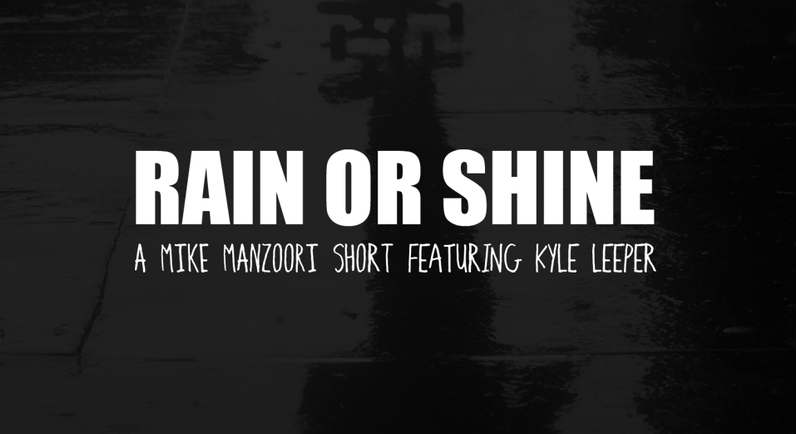 Born last year -from the mind of Fabrice Lemao, a Frenchman rooted into skateboarding since the 70’s- as the L.A. International Skate Film Festival, held for the first time last year in Los Angeles, the birthplace of Skateboarding, the ISFF hosted a flurry of clips dedicated to the best skateboard films and the people behind skateboarding. 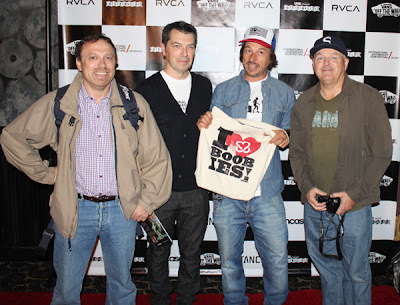 To judge the abundance of clips and movies, an Ad-Hoc Academy was created with some of the best filmmakers and most influential people in the industry; the most pertinent and influential personalities who, by their expertise, knowledge of the industry and the way they perceive the different stages of skateboarding will keep the Festival on its toes whenever creativity is concerned. Part of the Academy members’ role will be to nominate the judges and define the criteria of judgment amongst other activities. Ultimately, the Academy is used as the foundation for the Festival long‐term and global vision. 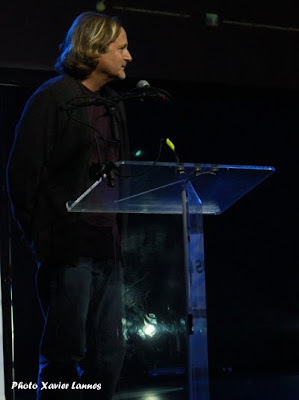 Pontus Alv got the honors and was recognized thrice for his Documentary In Search of The Miraculous. He got the awards for Best Director,Best Soundtrack and Best Documentary. Other highlights of the night were seeing clips of Altered Focus Burma. 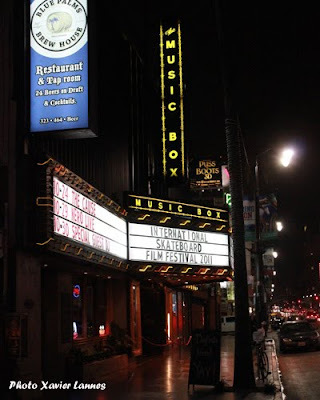 The movie was given the Best Independent and Emerging awards. The shots of the gritty streets, political unrest and gnarly skating mixed with the commentary was engaging to say the very least. If haven’t seen it, you can watch it in its entirety online. The Furnace Skate Shop won Best Skate Shop Video for TA-Ha. The video shows seriously painful looking fails in it. etnies’ Mike Manzoori, film maker and former pro skateboarder, was recognized for his epic panoramic film AIMLESS for Best Original Screenplay. 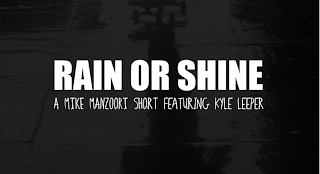 In addition to AIMLESS, Manzoori was also nominated for Best Commercial and Best Director for Rain or Shine, a short film featuring Kyle Leeper, shot during a street session in the rain. 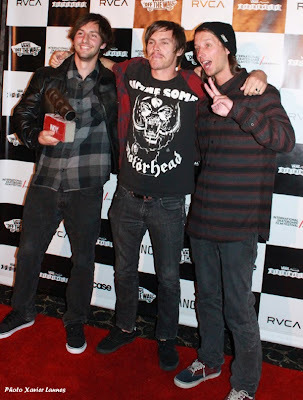 The Academy is composed with: Stacy Peralta, C.R. Stecyk, Grant Brittain, Fred Mortagne (a.k.a French Fred), Bryce Kanights, Ed Templeton, Ricki Bedenbaugh, Greg Hunt, Mike Manzoori, Jamie Thomas, Ty Evans, Geoff Rowley. 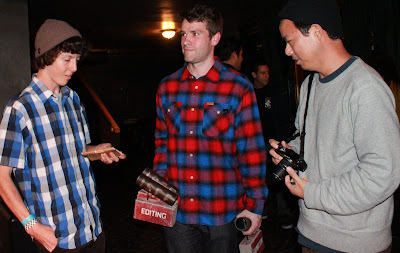 Previous submissions have included films by Cliche Skateboards, Emerica, Flip Skateboards, Girl Skateboard Company, Krooked Skateboards, Lakai Limited Footwear, Transworld Skateboarding, just to name a few! 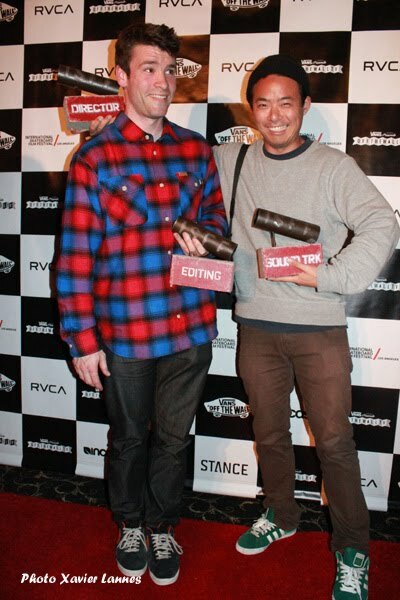 BEST SHORT OR WEB VIDEO: Dylan by Greg Hunt, Lakairomania by Ty Evans, The Javier Mendizabal Cliche Skateboards Commercial by French Fred. BEST SHORT OR WEB VIDEO: Dylan by Greg Hunt. 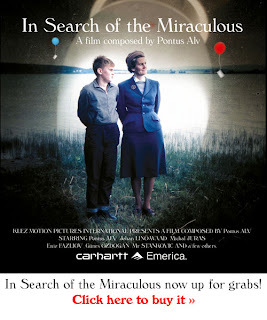 BEST DOCUMENTARY: In Search of the Miraculous by Pontus Alv. BEST BRAND MOVIE: Stay Gold by Jon Miner for Emerica. 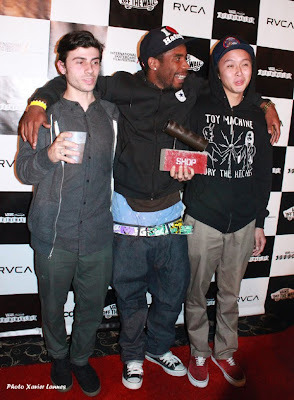 BEST COMMERCIAL: Torey Pudwill’s Big Bang directed by Dario Resk. BEST DIRECTOR: Pontus Alv for In Search of the Miraculous. BEST SOUNDTRACK: In Search of the Miraculous by Pontus Alv. Collecting awards for the pals (Pontus Alv) that ain't here... Hey, you spare one? 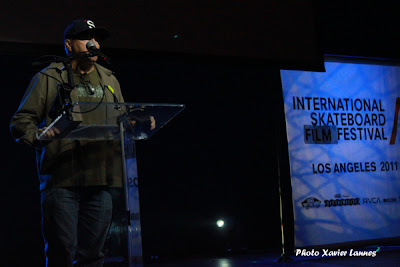 Stacy Peralta came with a clip of the next Bones movie.